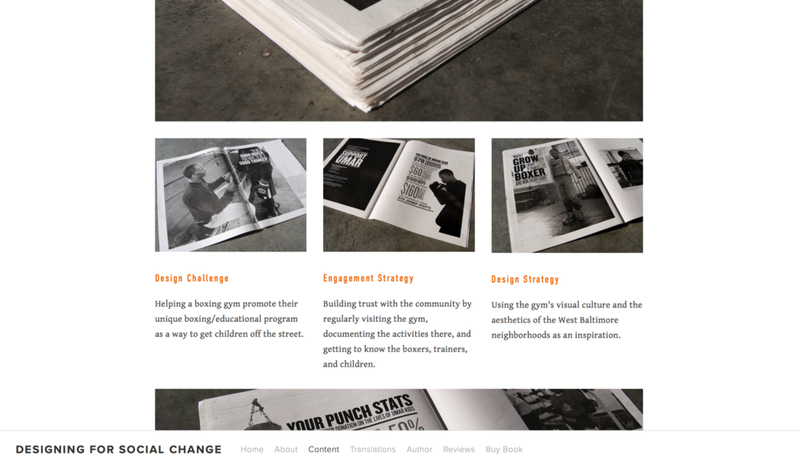 In designing this website the primary challenge was translating the visual language of the book onto the screen. The book's goal was to create a guide for how design can be used to affect positive changes in society. Borrowing the navigational cues and graphic display of information this website provides a digital experience of the books content. The accessibility of the internet allows viewers to seamlessly obtain more information about our collaborators by way of the linked texts throughout the site. The website serves as an extension of the book and the message it wishes to disseminate. The redesign of this website was centered around creating a dynamic retail experience in line with the brands culture and lifestyle approach to retail consumption. I collaborated with the brand's founders to curate collections for the website that express the lifestyle and story imbedded in each of their products. By rethinking the product photography showcased on the site viewers are guided through an experience of the brand that goes beyond simple drop down menus.